We developed Print Prologue nearly two years ago. It is an ongoing series of print and digital products for the growing community of creative thinkers. Right now, the products have a central theme of informing, educating and celebrating the process of small-format print design and the details that make it special, but we’re excited to explore more concepts in the future. 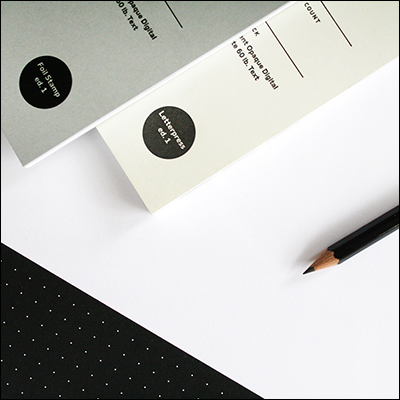 Currently, it includes a series of limited edition notebooks, a yearly wall planner and a web guide to design for small-format print. When we first started the project, we just set out to design a bunch of notebooks. Then during the initial weeks, we naturally began discussing all of the design considerations in relationship to their production aesthetics, budget and timeline. The exploration of process led to the creation of the content in the Print Prologue web guide. Our hope is that the notebooks and guide help serve as tools for emerging designers, small business leaders and even experienced designers. The information included in the guide is a compilation of 10+ years of experience designing for print. Much of it comes from mistakes made and lessons learned. A Civil Fox is our graphic design practice in which we design brand identities and marketing tools for creative businesses. 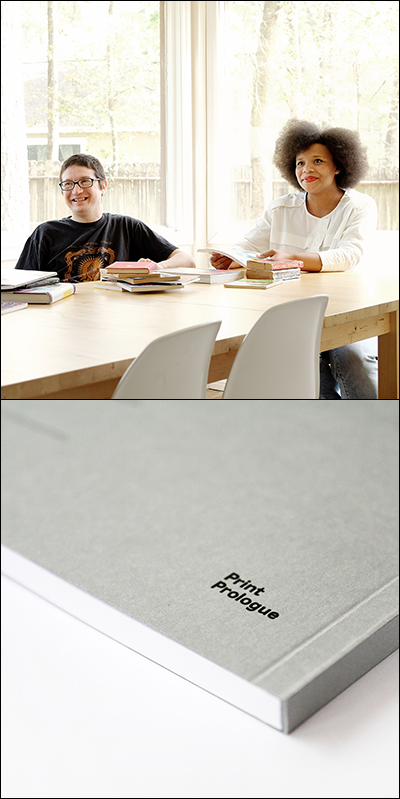 Initially, we started working on Print Prologue during the down time we had from client projects. That became more difficult when we started having less downtime! Now we integrate work for Print Prologue into our schedule more consistently and try to plan the bulk of printing and launches during portions of the year with a lighter client workload. As for the day-to-day, we’re very passionate about this project (and design in general), so it trickles in all the time. Many times, we’re discussing or working on it during hours when we’re “off the clock” which is after we put our kids to bed and before we go to sleep. As a designer, I (Carissa) am always thinking of new things I’d like to design in addition to client work. It’s just habit. And now, the flexibility of running our own business allows for the ability to do so. It’s a way for us to make something for people to use and enjoy. It’s still design, so there are a lot of restrictions. But it’s fun, and it seems relatively useful. It has also awarded us with a vehicle to learn and develop into better thinkers, problem solvers, marketers, etc. Selling a tangible product is very different from selling a service. And as a result, we’ve gained a better and more empathic understanding of our clients’ processes. So it’s a full circle! Diptych courtesy of A Civil Fox.